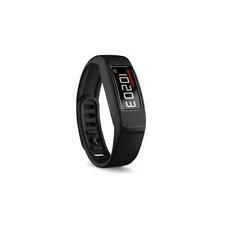 Nuband I Touch Activity and Sleep Tracker - Black. 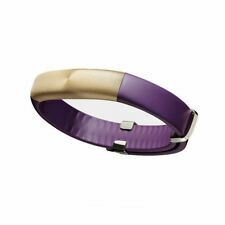 Nuband Flash Heart Rate Activity & Sleep Tracker - Plum. Fitbit Charging cable. Fitbit Wireless USB dongle. Fitbit Charge 3 Fitness Tracker - Rose Gold. 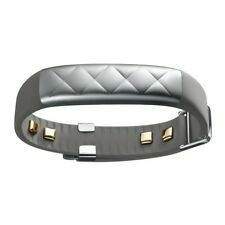 Fitbit Alta HR Fushsia/Stainless Steel Activity Tracker - Small silver stainless steel magnetic strap. Condition is used but good condition. Dispatched with Royal Mail Signed For® 2nd Class. Alta HR classic band. 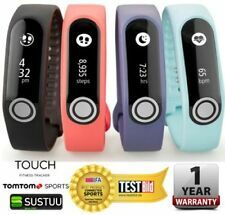 PurePulse Heart Rate Monitor. Upon receipt of your order you will be asked to sign for the goods received in good condition. Failure to do so may affect any warranty claims that you make thereafter. 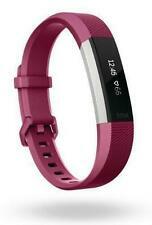 Fitbit Charge HR Purple Large. With charger. Condition is Used. Dispatched with Royal Mail 2nd Class. Fitbit Surge. Share and compete with friends and family on the leaderboard and in the Fitbit challenges. Surge automatically monitors how long and how well you sleep. 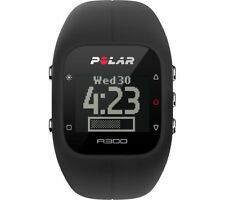 Maximise training, maintain intensity and monitor calorie burn with automatic wrist-based heart rate monitoring. Condition is New. 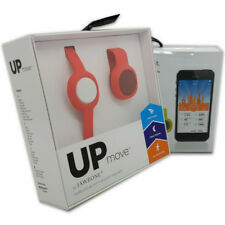 Tap the screen to easily access activity records, smartphone alerts, the clock and your personalised daily routines. Swipe to the dashboard to see your statistics, progress and goals, and general health and fitness status. 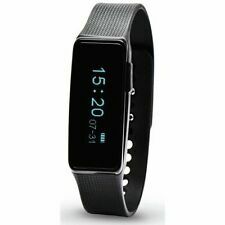 Fitbit Blaze Fitness Smart Watch - Black small strap- Used In Very Good Condition. Dispatched with Royal Mail 2nd Class. Refurbished FitBit Blaze - Black - Large - Grade B. Automatically recognizes select activities and records it in the exercise section of the Fitbit app. You’re getting a great device at a great value price! TO WHAT EXTENT HAS THIS ITEM BEEN TESTED?. Untested – The item has not been turned on and tested. Power Test Only – The item has been plugged in and the power button has been pressed and the light shines to show the item turns on. Fitbit Alta fitness tracker watch. Condition is used 8 months old, bought for my wife but no longer used due to injury. Comes with 2 extra straps (see photo)that are easy to interchange. Also comes with charger. Perfect working order. Grab a bargain, check my feedback and buy with confidence. From a smoke free home. Thanks for looking happy bidding. Black & silver colour with black wrist strap and spare navy strap. NEW FITBIT IONIC – HEART-RATE SMART WATCH –PEBBLE ONLY. The Pebble is the actual unit itself. Run Detect. Automatically record runs. Get credit for every workout. Fitbit Alta Black/Stainless Steel Activity Tracker - Small. Condition is Used. Recently upgraded to charge 3. Used, fully working. Back of Fitbit is heavily scratched (see photo 3) - does not affect use at all. Untested – The item has not been turned on and tested. Power Test Only – The item has been plugged in and the power button has been pressed and the light shines to show the item turns on. No further tests have been done. This is unopened and contains a small and a large wrist band. 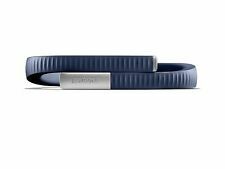 4.5 out of 5 stars - Fitbit Flex Brand New. 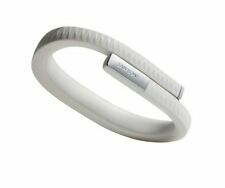 4 product ratings4 product ratings - Fitbit Flex Brand New.